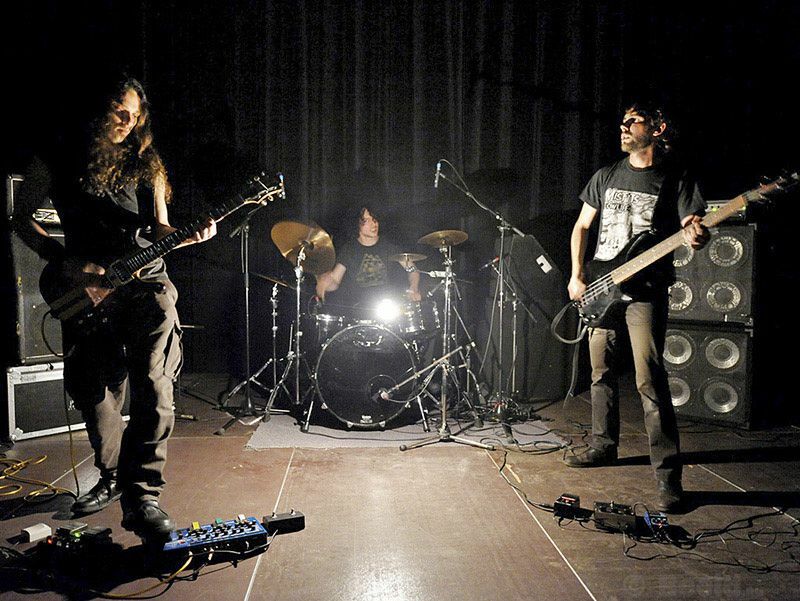 ALUK TODOLO is an instrumental power trio performing Occult Rock since 2004. Their music is a methodical exploration of the powers of musical trance. Part occult black metal fiend and part snide kraut menace, the band conjures rabid obsessive rhythms and abyssal disharmonic guitars, subliminal spiritualist vibrations and bizarre, magick summonings. ALUK TODOLO reduces psychedelic improvisation to a bare, telluric instrumentation, in which dry, spare percussion grievously mines the scrapes, shrieks and shimmer of mutated guitar and bass. The band’s sound is monolithic and stabbing, hypnotic but unpredictable, minimalist yet teeming: a dangerous, noxious coil of all things black. The name ALUK TODOLO was brought back from a mountainous region of South Sulawesi in Indonesia, it’s an ancient religion with animist beliefs meaning «the Way of the Ancestors».